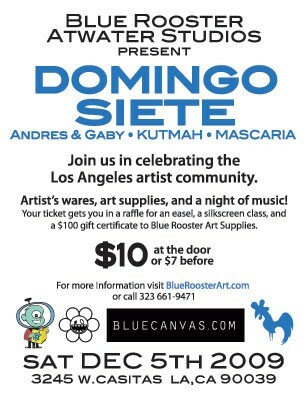 Altpick.com : News : Barbara Kosoff's art and a night of music at Blue Rooster! Barbara Kosoff's art and a night of music at Blue Rooster! on Saturday, December 5th from 8:00 pm to 11:30pm. There will be a complimentary bar, art supply giveaways, artist booths as well as performances by these bands: Domingo Siete, Kutmah, Andres & Gaby, Mascaria!